25 x Hygro-i2 Hole Liners and Caps - Pack of 25 Hole Liner sets for use with Tramex Hygro-i2® relative humidity sensors. 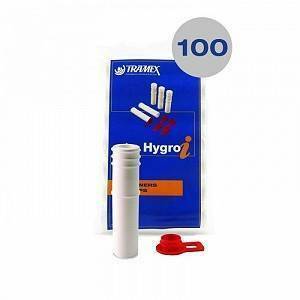 To perform BS8201, 8203, 5325 in situ RH testing of concrete floors and slabs. 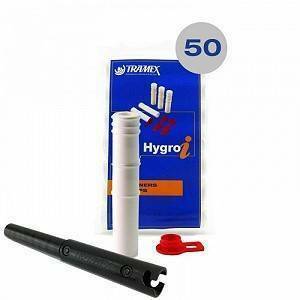 Pack of 50 Extra Long Hygro-i ® Hole liners and Caps with Extra Long Insertion Tool. To perform ASTM F2170 in-situ RH testing of thick concrete floors and slabs to a maximum depth of over 10". Sleeve length is 4.7". Depth of reading should be 40% of the complete slab depth.